It’s no secret that we love fire fighters at MDA. Whether they are participating in MDA Fill the Boot events or helping give kids the “best week of the year” at MDA Summer Camp, fire fighters have been going above and beyond to help MDA families for more than 60 years. What’s more, they keep coming up with new ways to raise awareness and funds for MDA. Dan Kelleher, an MDA Team Momentum athlete and member of Stoneham, MA Local 2116, recently completed a 30-mile run to raise funds for Team Momentum in preparation for the 2017 TCS New York City Marathon. Although Melissa was unable to participate in the 30-mile run, Kelleher gained a few other unexpected running buddies to help keep him in good spirits along the way. “Some guys from Local 2116 ran with me. They split running different legs between the fire stations,” says Kelleher. 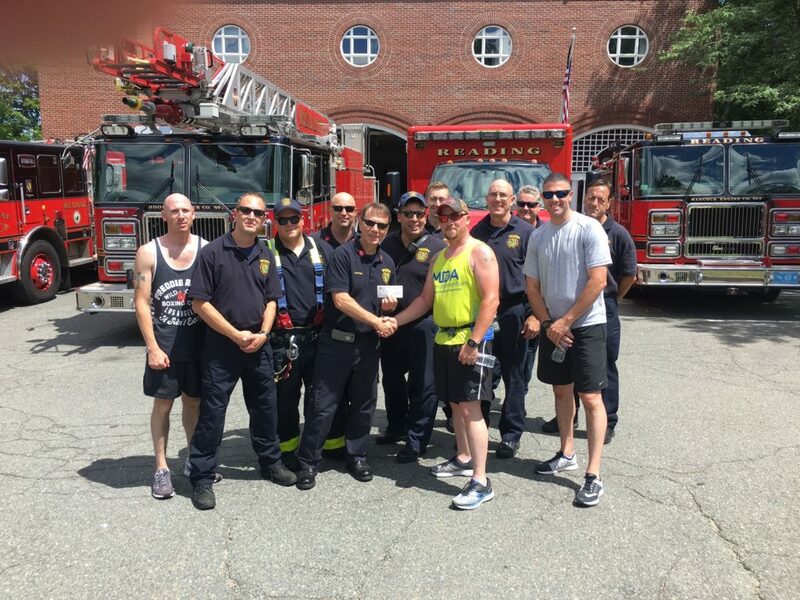 In total, he ran 30 miles from nine different fire stations in Woburn, Winchester, Arlington, Somerville, Medford, Malden, Melrose, Wakefield and Reading, before ending in Stoneham. Although running is not new to Kelleher, this was his first time running 30 consecutive miles, and he admits there were both physical and mental challenges throughout his trek. “The distance was the most challenging part. During the final leg of my run, I joked that I had already completed a marathon and still had four more miles to go. It was mentally challenging as well, knowing that I wasn’t even halfway finished at 13.1 miles,” Kelleher says. Reaching the fire stations between the different legs of his journey and receiving support of other fire fighters was a welcome refuge on his journey. 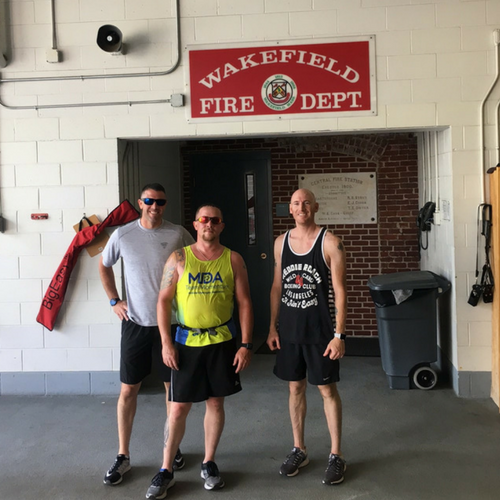 “The fire stations were great for water stops and there were fellow fire fighters cheering us on at the stations,” he says. Kelleher completed the run in six hours and 40 minutes and continued to fundraise after he crossed the finish line. Friends and family purchased tickets post-race and were treated to a buffet, lawn games, children’s activities and a beer and wine tent, with additional proceeds benefiting MDA. While Kelleher knows not everyone is committed to running 30 miles at one time in the heat of summer, he does have words of encouragement for anyone who is unsure about running an endurance race with Team Momentum. “Get out there and do it. If someone says you can’t, that’s more reason to do it. If someone says you’re crazy, you know you’re doing the right thing,” he says. Join MDA Team Momentum today.